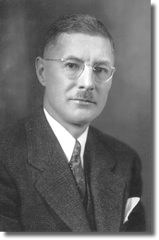 Stuart Huber founded H&B Petroleum Company in 1919 in Paterson, New Jersey. Paterson was the home of Cook Locomotive Works, Colt Firearms Company, and many factories producing silk fabrics. H&B supplied lubricants for the machinery and the steam engines that powered them. The depression years proved to be difficult for H&B, but as World War II approached, the company developed metal cutting oils, which were well accepted by the industry. The post war years and the development of new high performance alloys allowed the company to develop new cutting oils. One of these oils was Habcool 318 tapping and cutting oil. Habcool 318 has been a ‘best seller’ since then. This product was supplied to Electric Boat Company and was used to machine parts for the first nuclear submarine, “the Nautilus”. Stuart Huber passed away in 1968 and was succeeded by his son, Stuart D. Huber. We are happy to assist you with any questions you may have about our complete line of metalworking lubricants, or any particular metalworking or lubricating problems you may have. We pride ourselves on providing superior customer service and can be contacted via e-mail at info@habcool.com or via telephone at (973) 664-0144.